Waihola Room 2: Poor Sean! Three centimetres of the jagged splinter, thick as a matchstick, were still protruding from the wound and the shocked teachers were unsure how far the stick had gone in. Having recently completed their first aid training they all knew not to try and pull the rough wooden shard out but get Sean to a medical centre for treatment. 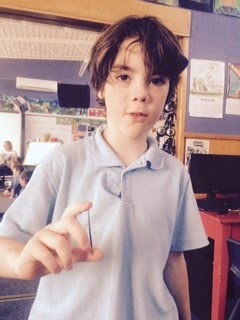 Sean put on a very brave face as the splinter was removed and he was given a tetanus shot (injection) to ensure the wound did not become infected. Sean’s foot will be tender to walk on for some time.